Shyloh Belnap: Good Things Utah Pin of the Week... 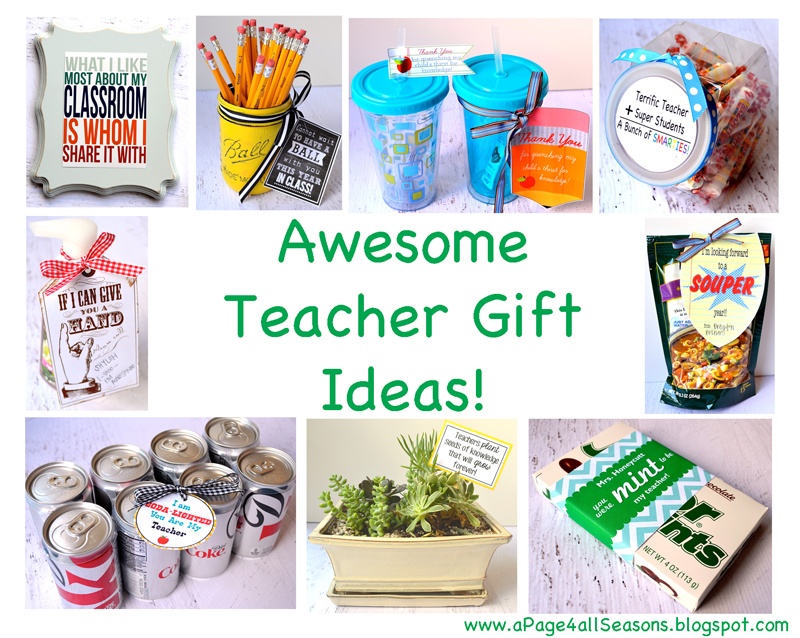 Teacher Gift Ideas! Good Things Utah Pin of the Week... Teacher Gift Ideas! It outlines 20 fabulous teacher gifts, but I have chosen to highlight just a few. Check out my blog for directions and some printables that you can print off to make these gifts in a jiffy! A bunch of Smarties: Fun plastic canister filled with smarties and the cute printable Terrific Teacher + Super Students = A Bunch of Smarties! The printable in the actual pin was a tag and I needed a circle so I created my own... You can download it here. And, here is the original pin. 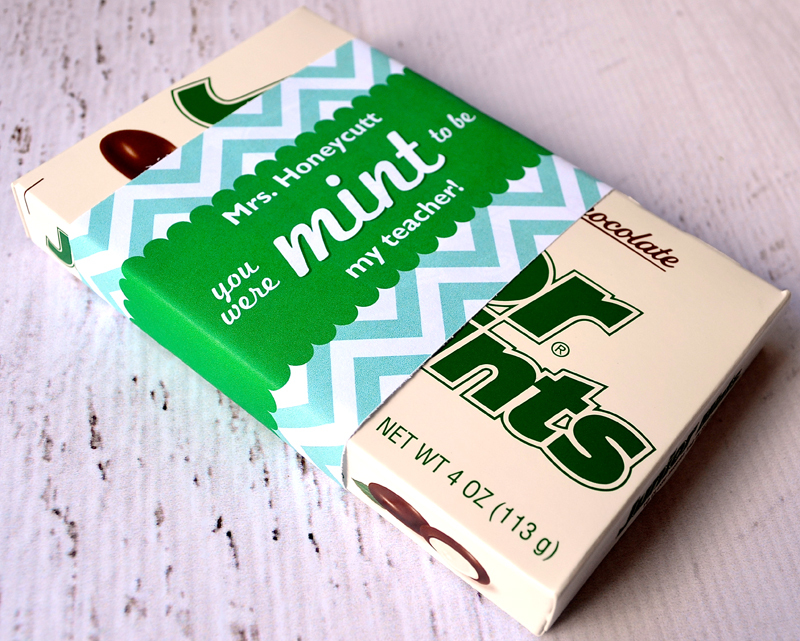 I was “mint” to be in your class: This fun printable allows you to enter the name of your teacher making this totally custom! You just print it off and wrap it around some Junior Mints! Here is the link to the original printable. 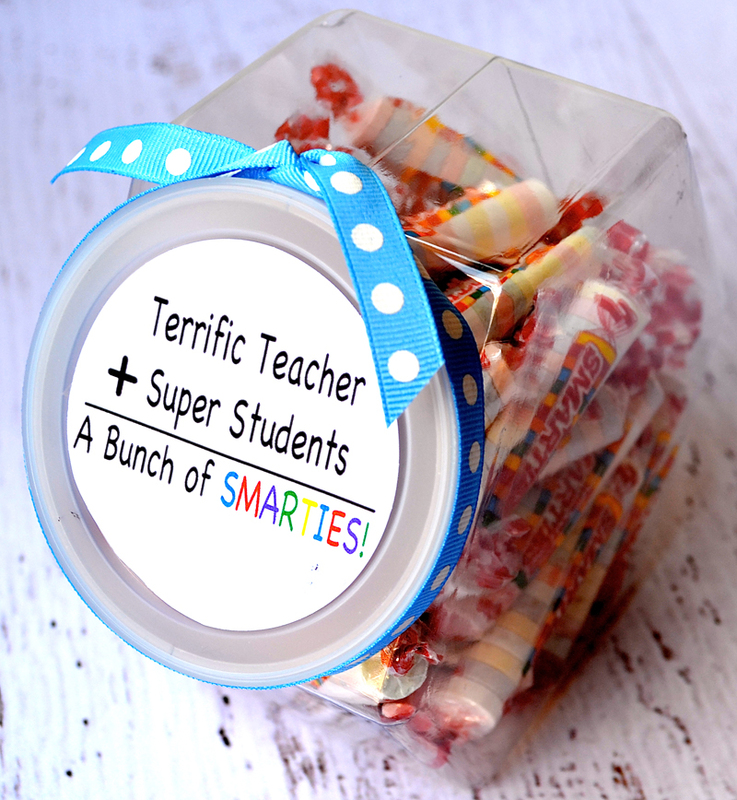 What I like most about my Classroom printable: Super easy! Just download, print this at a 1 hour photo and throw it in a cute frame! I chose a smaller frame just because I know how cluttered a teachers desk can become! This is the original pin for the printable. When I took it to be printed I realized the original goes right up to the edges so it would be cut off in most frames. I reformatted the original version to leave a border and the link to that is here. 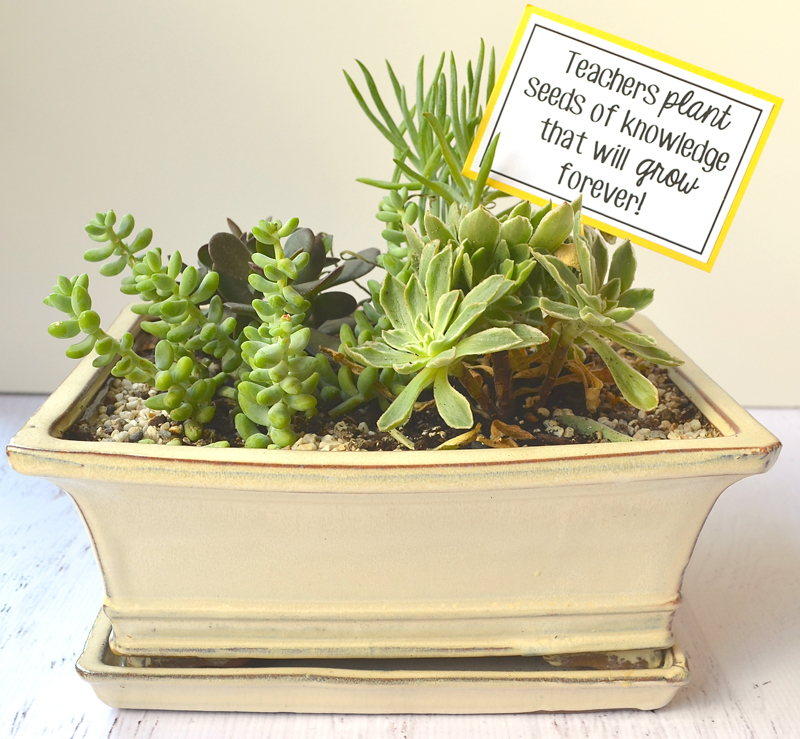 Teachers Plant Seeds of Knowledge that will grow forever! 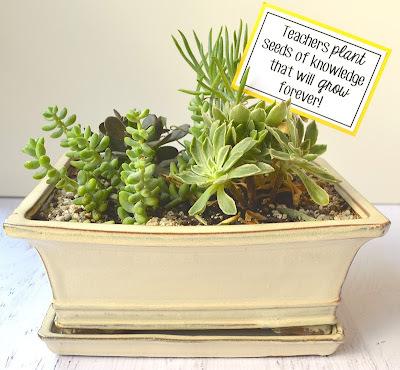 I think a fun plant always livens a classroom! I chose to use succulents because the maintenance on them is so easy. The original pin is here and is more of a tutorial on how to plant succulents (but a way good one!) 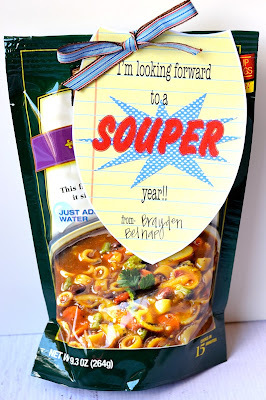 But, I could not get the printable to download so I went ahead and recreated one for you right here! 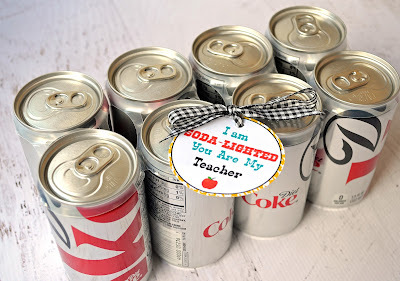 I am soda-lighted you’re my teacher: Attach this cute tag to a 6 pack of diet coke and you will have a fan in your child’s teacher forever! Here is the original pin and their printable worked great for me! 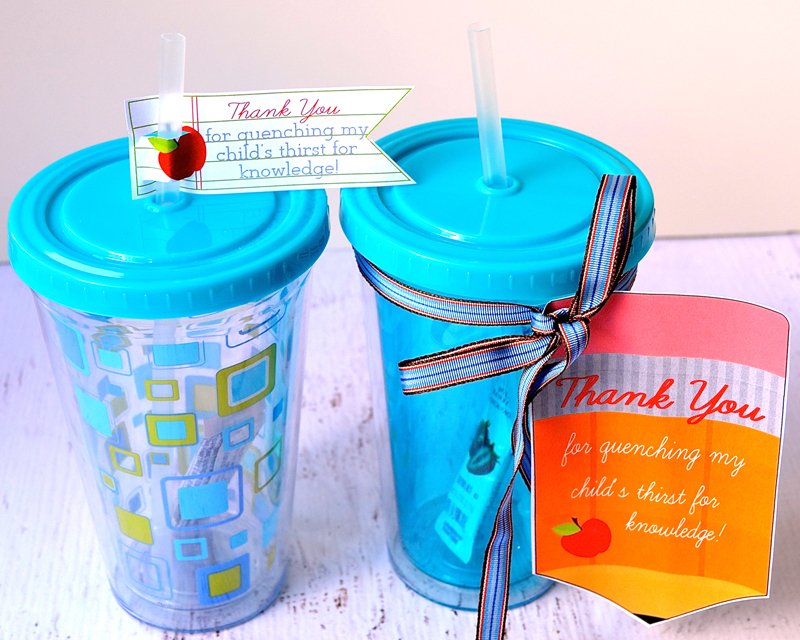 Thank you for quenching my child’s thirst for knowledge: I got these cute cups at Walmart. 2 for $8! 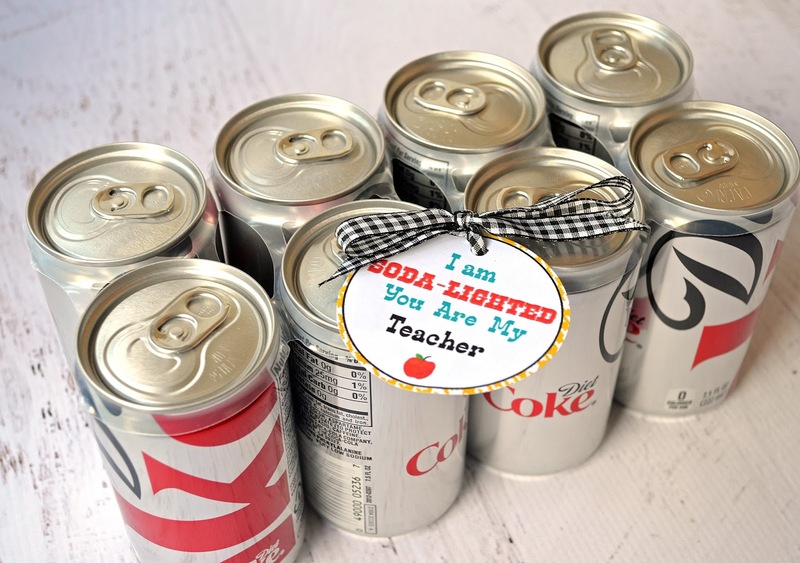 You can add a little Crystal Light packet (I think you should use Crystal Light ENERGY) if you would like to... all teachers need energy, heehee. 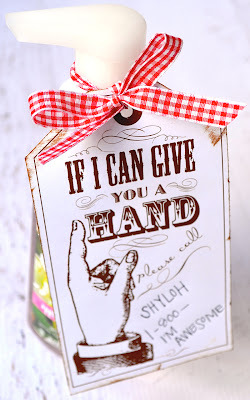 This printable comes with the option of a big tag or one you can just put on the straw. Love this pin! This is the original pin but she did not include a printable with it so I formatted one for you here! I printed this out on a 1/2 sheet shipping label and stuck it right on the tackle box. 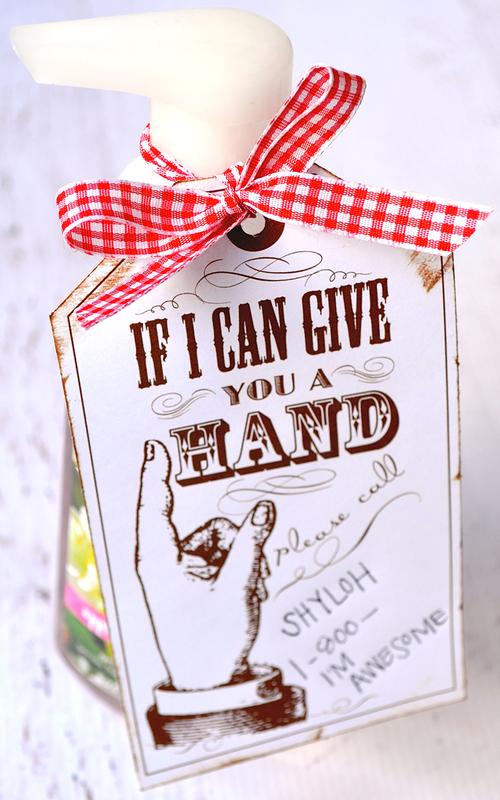 If I can give you a hand: I got some fun Apple (heehee) hand soap and attached this cute tag so the teacher would know my phone number to call if she needs help right away. I think this would also work on a BIG bottle of hand sanitizer that she can use in the classroom for all the kids. Here is the original pin with this darling printable! I’m looking forward to a “Souper” year: Attach this printable to a bag of nice soup and your teacher will have a quick lunch on hand if she ever needs it! Here is a link to the pin with the printable! 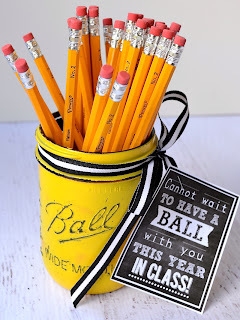 I cannot wait to have a ball with you in class this year: What a fun pencil jar! 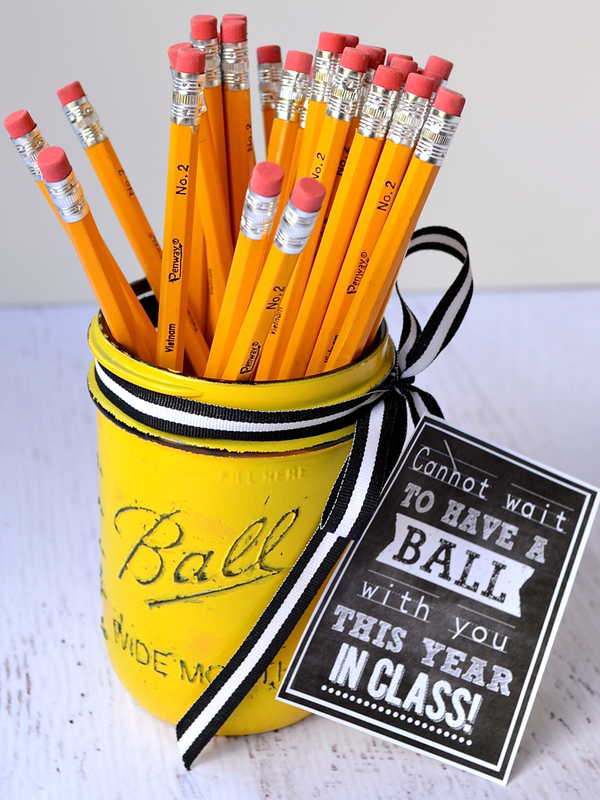 Using a Ball mason jar and a little bit of paint you can make this fun jar that may last on your teacher's desk for many years to come! Here is a link to the original pin with the printable. This was WAY fun to make may I add!